Only 1,300 feet from the beach, Hotel Deva has an All Inclusive restaurant that serves traditional Bulgarian recipes. There is a large sun terrace, a poolside bar and a 24-hour front desk. Rooms here are large and include a private balcony overlooking the pool. Each room is equipped with air conditioning, cable TV and a mini-bar. Free WiFi is provided. 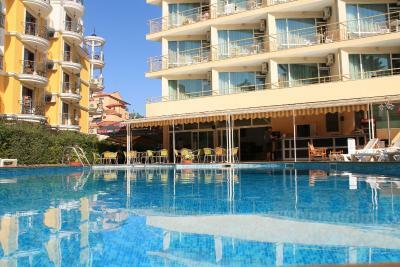 Sun loungers and parasols are provided by the swimming pool, with adults and children section. 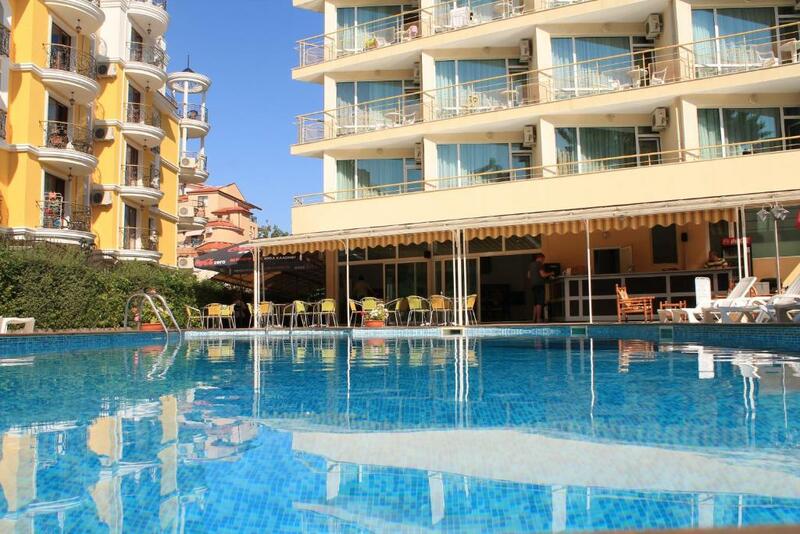 Deva Hotel is located in Sunny Beach West, just 0.9 mi from the resort’s main street. The distance to Nessebar is 3.1 mi. The Action and Paradise water parks are both within 2.5 mi from the hotel. When would you like to stay at Hotel Deva - All Inclusive? This air conditioned room with a balcony comes with a mini bar, a free Wi-Fi and a cable TV, and includes a private bathroom with a shower. House Rules Hotel Deva - All Inclusive takes special requests – add in the next step! Please note that the All Inclusive Offer includes local drinks only. Imported drinks are available at an additional charge. We need at least 5 reviews before we can calculate a review score. If you book and review your stay, you can help Hotel Deva - All Inclusive meet this goal.